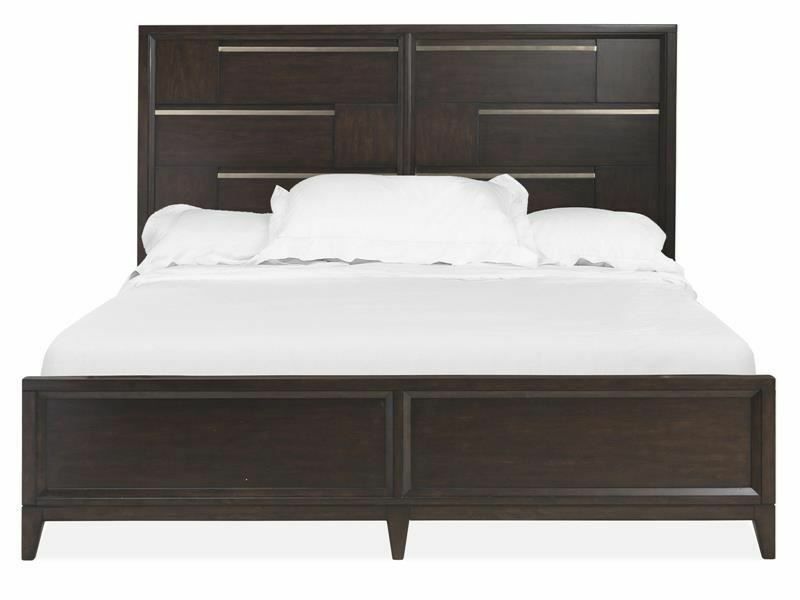 Add stylish structure into your home with the Modern Geometry Queen Bedroom Set. 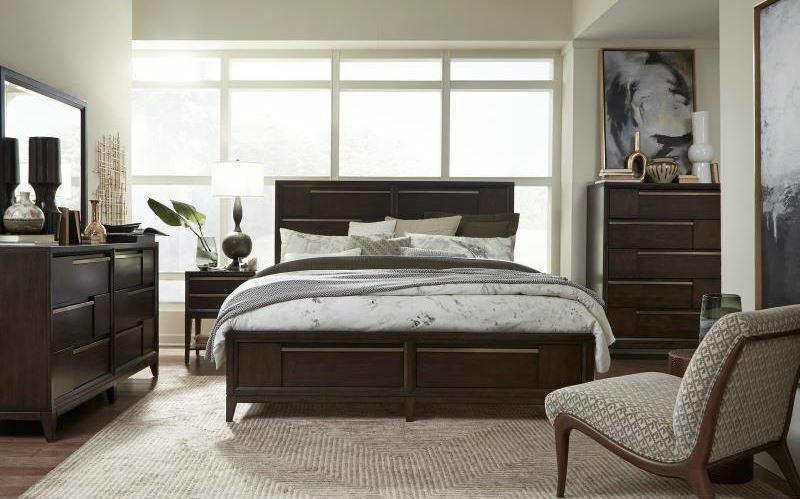 Featuring clean lines and sharp angles finished in a french roast inspired color, the pieces of this set showcase impeccable design and function--just the type of furnishings you desire for your master suite. 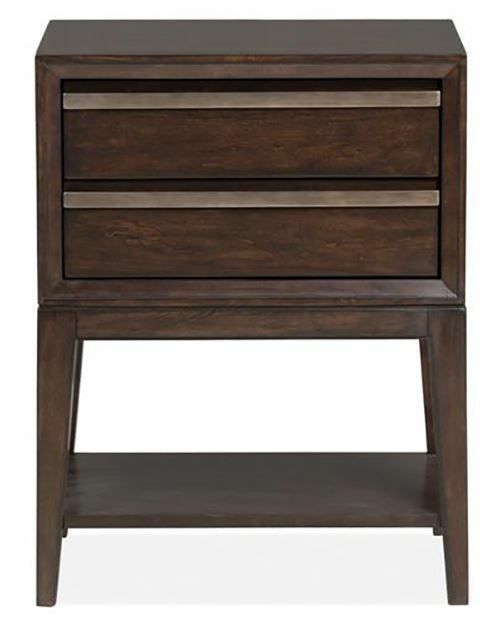 Tuck away your folded clothing in the spacious dresser drawers and store all your nighttime needs in the elegant matching nightstand. 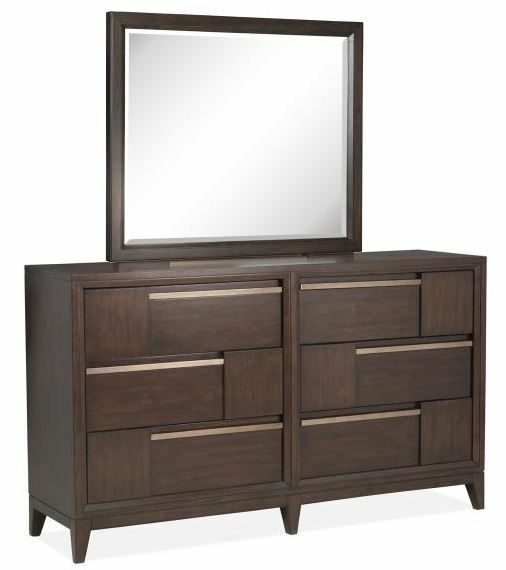 Add stylish structure into your home with the Modern Geometry Queen Bedroom Set.